Antoine lives in a decrepit castle and is the last of a long line of noblemen. The castle is utter disrepair and has lived there alone for sixty years since his servant Pierre died when Antoine was thirty. Antoine was orphaned quite young with his mother dying at childbirth and his father being crushed by a stone falling from the castle when he was thirty-two. When Antoine is twenty-one, he is given the true history of his line. All the males died by age thirty-two and this has occurred for some 600 years. It started when an ancestor of Antoine's killed the local magus, believing the magus had put his child into a caldron for a spell. When the magus's son, Charles Le Sorcier discovers this, he curses the ancestor's line, preventing any of them from living past thirty-two. As Antoine approaches thirty-two, he comes to accept his fate while also deciding to seek out the occult and explore the depths of the castle. While encountering a deeper hall he had never explored before, he comes across an old and nefarious looking man. The two converse and it becomes apparently that this old man has killed Antoine's relatives throughout the generations. As the man begins to attack Antoine, he throws this torch at the old man and runs away. He faints but when he awakens, he finds the old man's body nearly wasted. Antoine enters into the man's chambers to find all sorts of chemicals and stuff. He realizes the man is still alive but the man cannot speak clearly. Antoine is troubled, trying to figure out who he is and the man finally utters with his last breath that he is Charles Le Sorcier. Once the story began discussing the curse, I began to wonder whether Antoine would end the curse or alter it. We learn early on that Antoine is 90 years old at the time of writing, so we assume he broke it. I wondered for a bit if he broke it by not having children but when the old man appeared, I figured it was Charles. 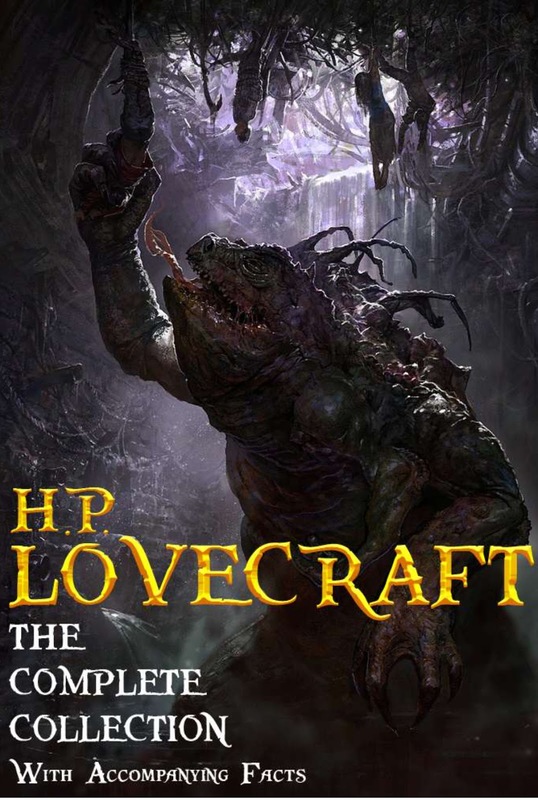 A pretty common horror tale but this was also Lovecraft's first published work, so he still had some time to develop.